Hello, it's Maureen with another Throwback Thursday post! If you missed it last month, the third Thursday of each month I will posting three cards, each using the same basic layout and design elements and a "throwback" stamp set. 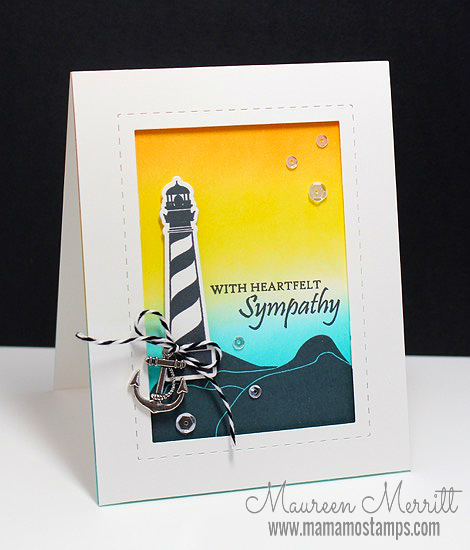 This month I am featuring the Guiding Light stamp set and the companion dies as well as Guiding Light Sentiments. 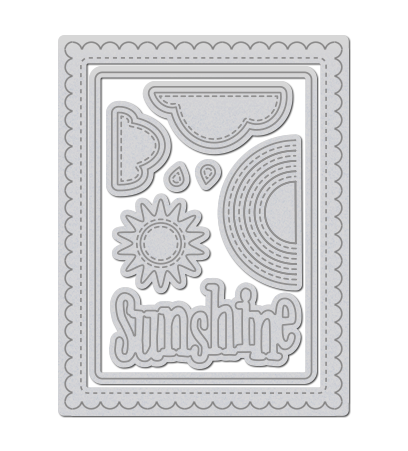 Guiding Light is a timeless and classic stamp set that every stamper should have in their stash. 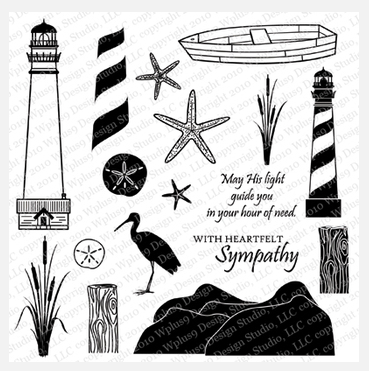 The images included in the set make those hard to make sympathy cards a bit easier. Rather than use the typical reds, blues and kraft color scheme with this nautical set, I went with a CAS silhouette approach. 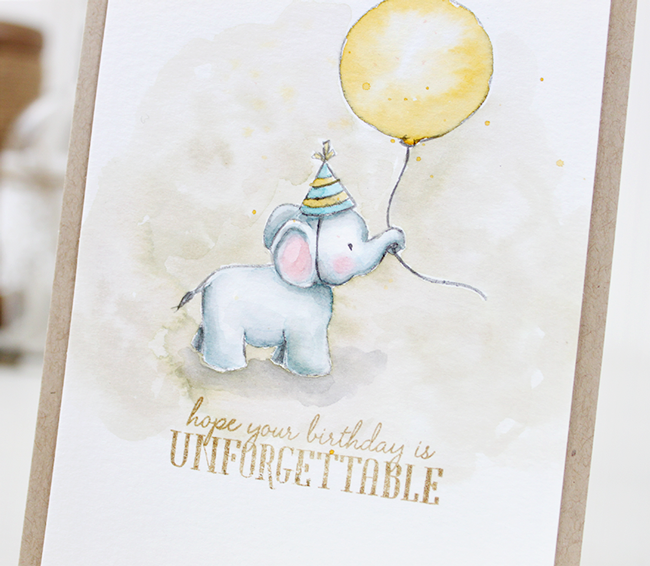 For my first card, I masked off 3/4 of an inch in on all four sides and sponged the background with Distress Inks. Then I simply stamped the images and sentiment in black ink. This card uses the same basic layout, but rather than masking off the focal point, I've added a layer. Here I die cut the layer with the Sunshine Layers Die from watercolor paper, then I colored it with Distress Markers and spritzed it with water. 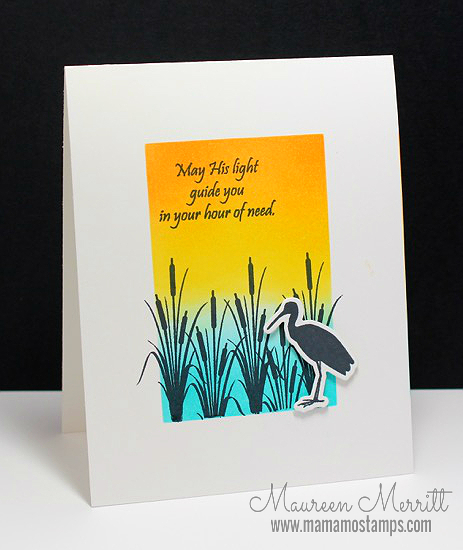 Once dry, I did the stamping with black ink and used the same placement as my first card. For my last card, I sponged the entire card base with Distress Inks and added a white frame that was cut using the Holiday Apertures die. 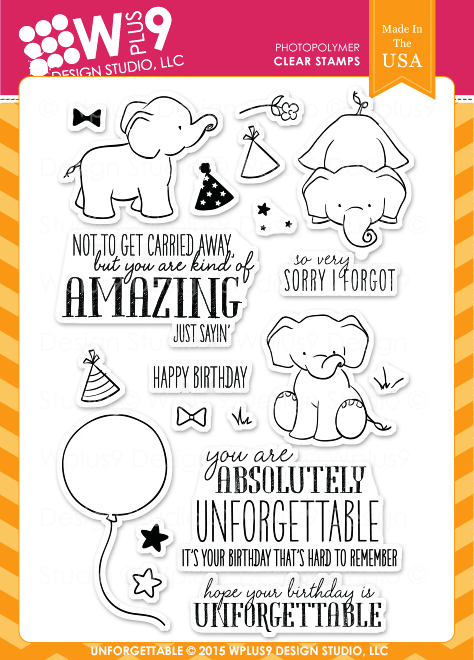 The placement of the images and sentiment is a bit different on this card, but you can still see that same basic elements from my first card. I have gotten a few questions on the new Storybook colors and how they compare to some of our other colors, and I thought the best way to tell you, was to show you. 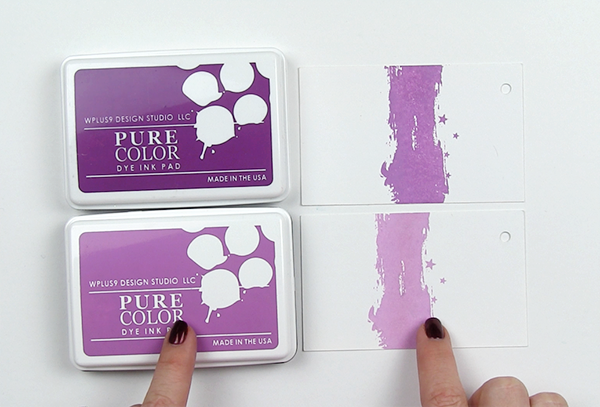 In the video, I go through all of the new ink colors included in the PURE COLOR Dye Ink Storybook Collection we just released on February 5th. I walk you through each color and compare it to previously released colors that fall into the same color family. Hopefully this gives you a better idea of the new ink colors available and helps you decide which ones to add to your collection! As always, thanks for stopping by! Hope you are having a wonderful week! Today I'm sharing a very special milestone. If you are subscribed to our YouTube Channel then you know that we have recently passed 10,0000 subscribers. WHAT?! I know. I can hardly believe that that many of you enjoy my videos enough to subscribe! I can't express how much I appreciate each of you that watch, leave comments and questions, subscribe and thumbs up (and even those thumbs down - although a comment of why would help me to improve). The best way that I can think of to share this milestone with all of you - because it wouldn't happen without you - is to do a giveaway! 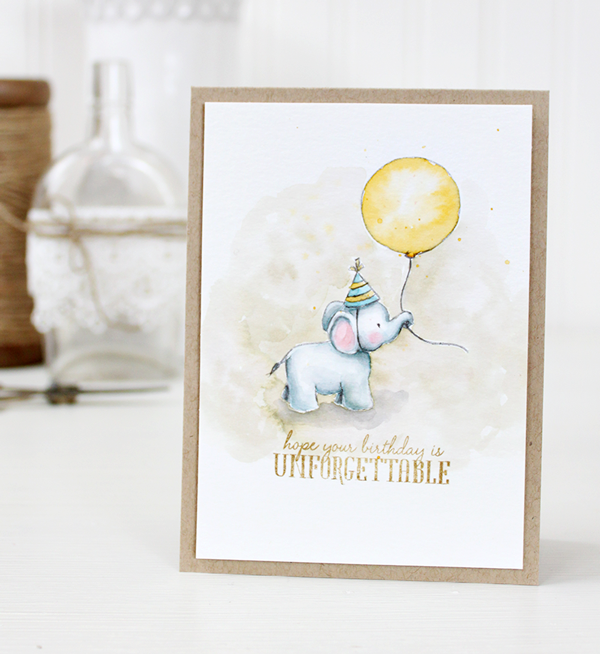 In the video, I share how to recreate this watercolored storybook illustration look using Distress Inks and the popular Unforgettable stamp set. I know that this set is currently sold out, but I did order more based on your feedback during the Instagram sneak peeks, so you shouldn't have to wait too long for it to become available again if you missed it. 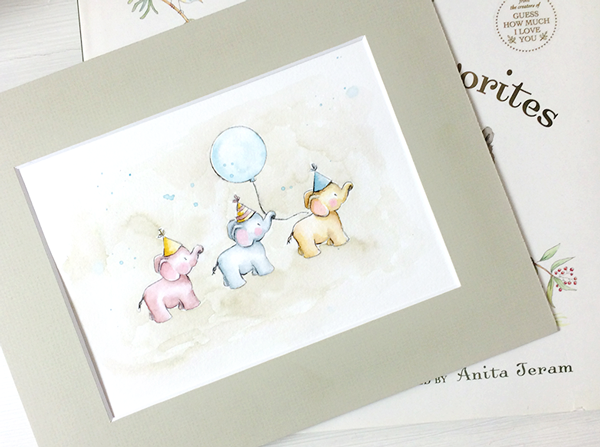 Be sure to watch until the end to get the details on the giveaway - which includes this adorable Elephant Parade watercolor. Just leave a comment on the video over on our YouTube Channel by February 21, 2015 to enter. The winner will be posted by February 24, 2015. I am requesting that you subscribe to our YouTube Channel when you enter - if you haven't already. Please Note: If for some reason you are unable to comment on YouTube, you can leave a comment on this post to enter the giveaway. Speaking of 10,000 subscribers...the very talented Sandy Allnock has also reached this milestone and is having a giveaway as well! Be sure to visit her YouTube channel to get all of the details. If you are unfamiliar with Sandy's work, you are in for a treat. Not only is she a wonderful artist, she is a beautiful person with a heart of gold. Make sure you have some time carved out to watch her videos, she is amazing! The February 2015 Release is now available! Thank you all so much for another wonderful Release Week! I have enjoyed (and am filing) all of your feedback! All of the new products we've been showcasing this week will be available for purchase at www.wplus9.com as well as at many of your favorite retailers. I want to thank you all so much for your incredibly kind comments. The excitement and enthusiasm that you all have shown for this release has been humbling. I am amazed each year by the amazing and creative ways that you all use our products. On our 5th year in business I am feeling even more inspired and encouraged than ever! And that is all thanks to all of you. So from me to you - a HUGE THANK YOU! I can't wait to see what this year will bring! Here is a quick recap of all of the new products that will be available starting at midnight tonight. The inspiration doesn't stop here. The design team still has a lot to share with you! I hope you all have enjoyed seeing all of the new release products in action! 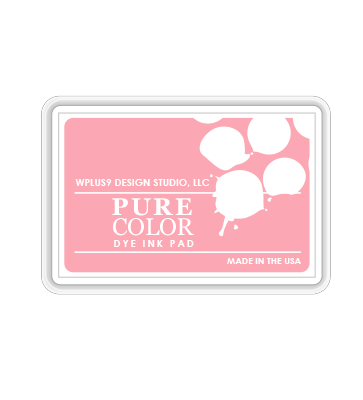 Would you like to win the Entire February 2015 Release including the PURE COLOR Storybook Collection? Just leave a comment below by 10:00 p.m. EST on tonight, 02/05/15 letting us know what you'd like to see from Wplus9 this year to enter. I will select one random winner from all comments. Winner will be posted on our Releaser Winners page by 11:00 p.m. and announced on our Facebook page as well. Don't forget to check the winner's page to see if you've won any of this weeks prizes! Things have been very very busy around here (today is my youngest's birthday! Love you best friend!). So I apologize for not having them ready just yet, but I will have some new videos coming your way based on requests and feedback here on the blog and Instagram. So stay tuned over the next couple of weeks. As always, thanks so much for joining us and good luck! Wow! Thank you all so much for all of the excitement over this release! Are you ready for Day 3? If you are just joining us, be sure to check out Day 1 here and Day 2 here. Remember, the entire February 2015 Release will be available for purchase beginning February 5th at wplus9.com and at many of your favorite retailers as well. 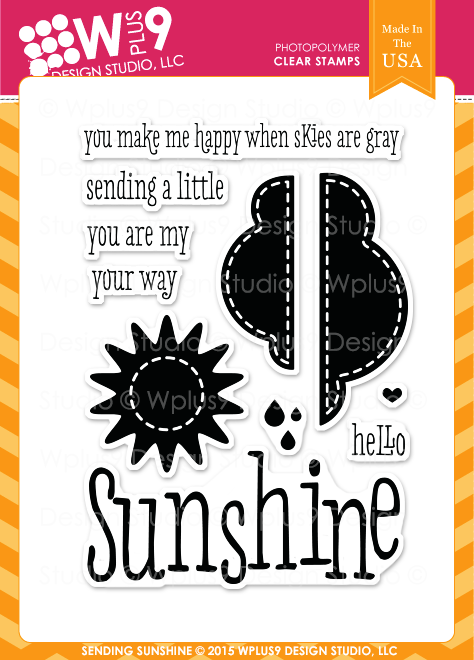 Today I have a few more projects for you featuring new products from the new release. After all of the "cute" over the past few days, I was in the mood to go a little more subtle and simple. Forals are always a win in my book and Botanical Bunch is just a timeless set. 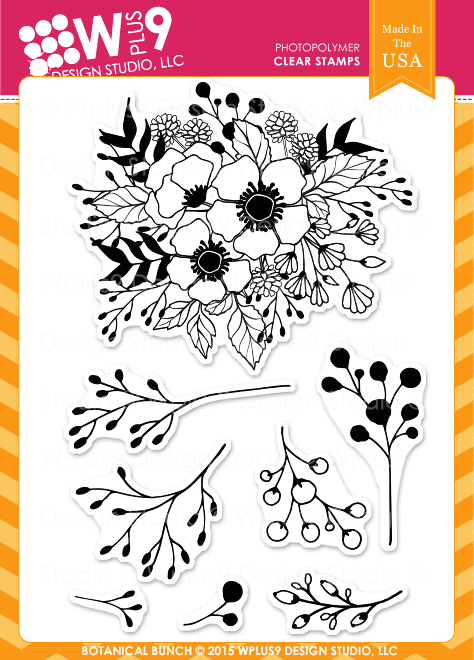 The large floral bouquet included in the set is perfect for those of you that like to color, and the solid foliage images are great for those who prefer to stamp. I chose to focus on the solid images today as I wanted to give you a closer look at some of the new inks in our Storybook Collection. 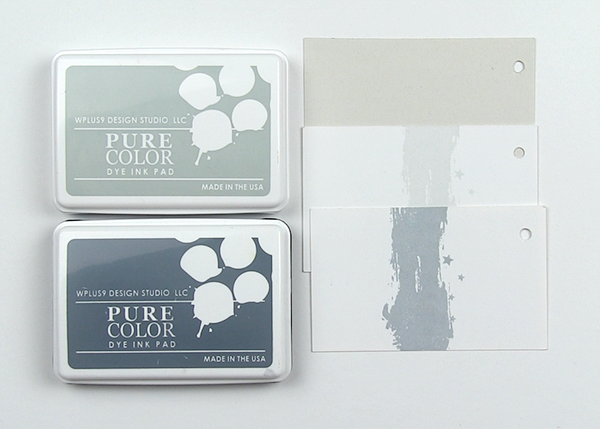 Our newest gray - Fairy Dust - is a beautiful soft gray that is neutral in tone. It pairs beautifully with so many of our existing colors! 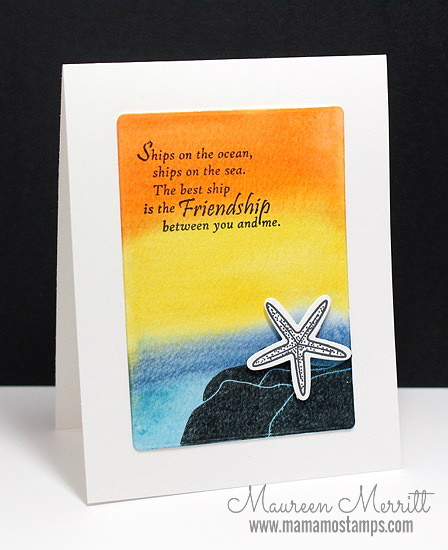 I especially love it when paired with Sweet Nectar dye ink, Black, and Cashmere cardstock. To create the background pattern, I simply stamped several of the images from the Botanical Bunch set in these colors. 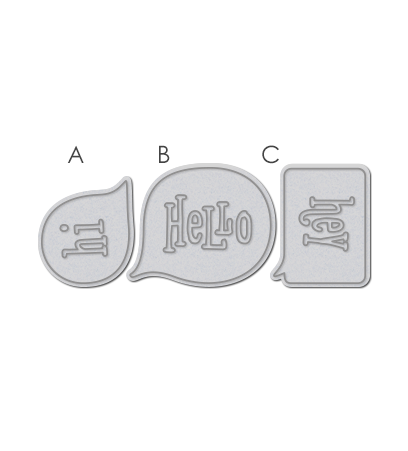 I die cut two tags, once from Cashmere and once from White card stock using our Timeless Tags 2 Die and layered them together. 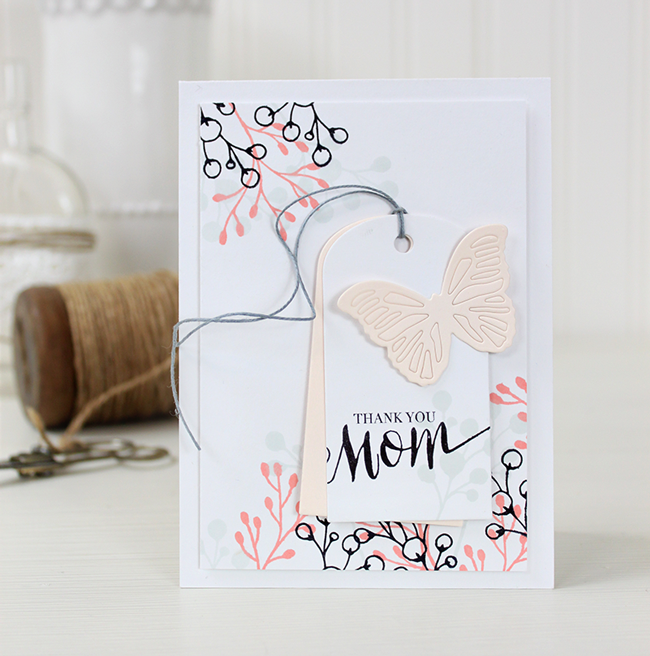 I added my sentiment from Strictly Sentiments 4 and embellished it with a butterfly using the Small Butterfly Frame Die. 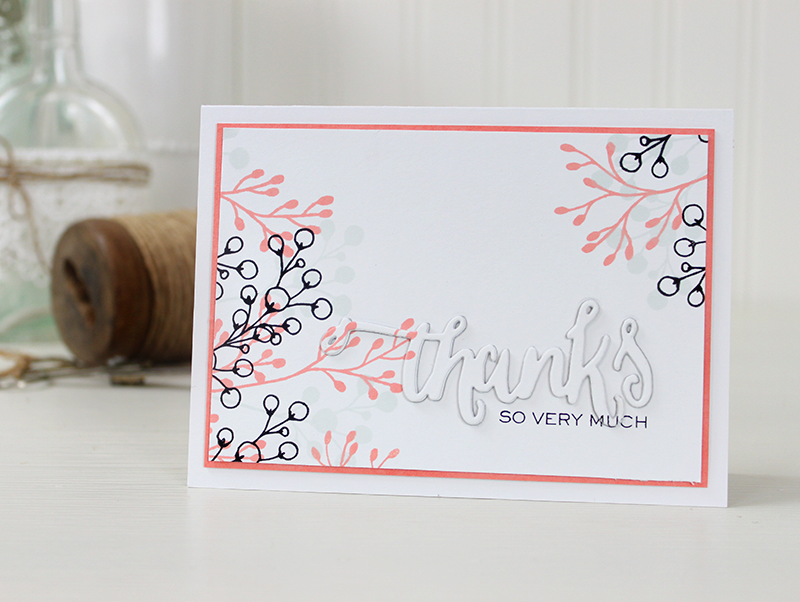 In fact, I love the layout and colors so much...I did a second card using the same supplies and stamping for a completely different look. 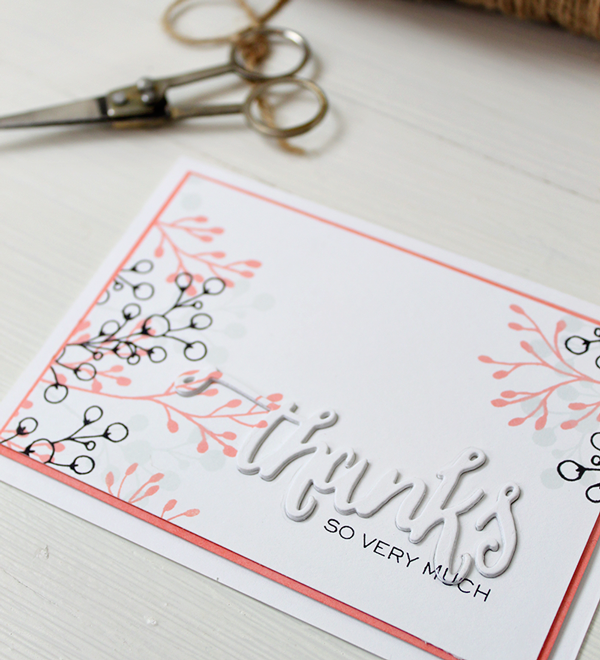 This time, I opted to use the Hand Lettered Thanks Die to cut "thanks" from my panel after I had stamped it. I then die cut "thanks" 3 more times from White card stock and glued them all together, one on top of the other using Multi Medium Matte. 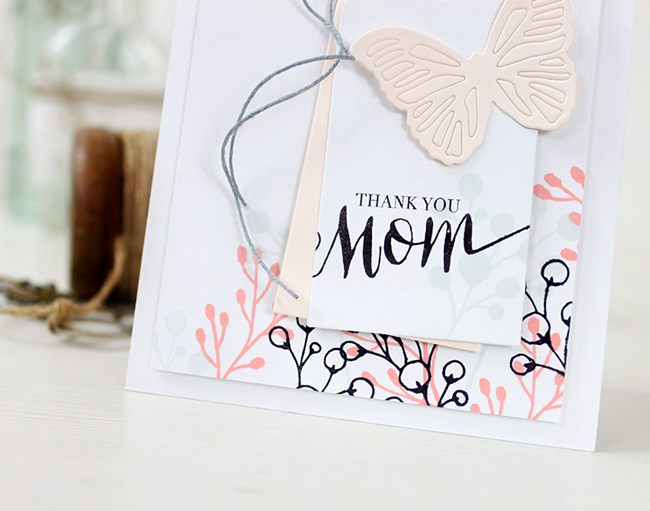 I then glued the "thanks" die cut from the stamped panel onto the top of the three already glued together and inserted them back into the negative space of the panel. See the Sweet Nectar border there? 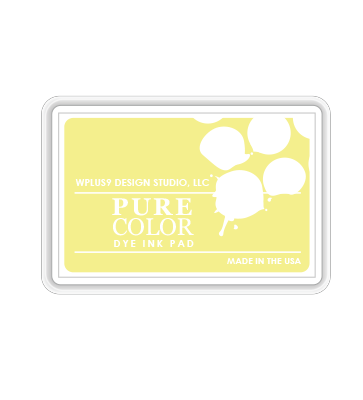 I just colored the edges of a white mat using a sponge dauber and Sweet Nectar dye ink. Now I had a matching mat for my focal panel. I just love how simple and sophisticated this turned out. Another of my favorite new colors is Falling Star. Believe it or not, yellow is my favorite color. And this one is a nice muted yellow more on the cool side. Not to bright but not to "baby" yellow either. I especially like it with Lake House and Cranberry Crush. 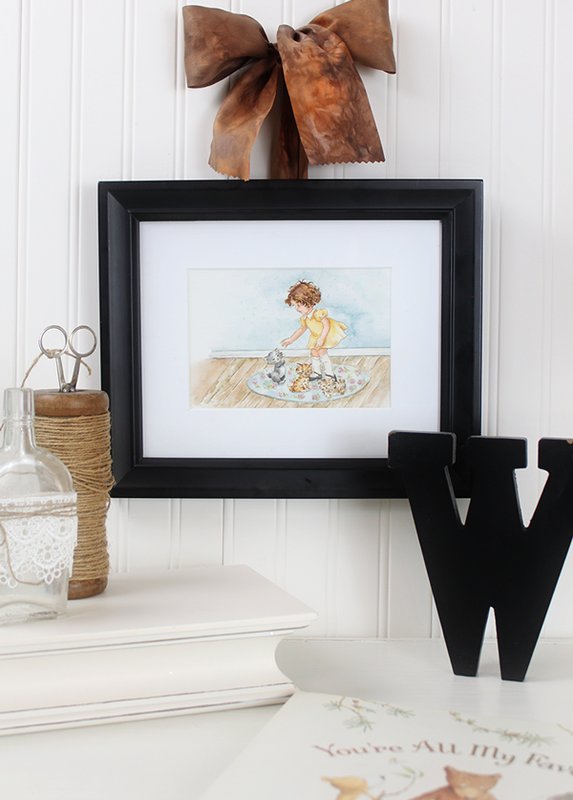 I think these images look great with our Hand Lettered series, don't you? 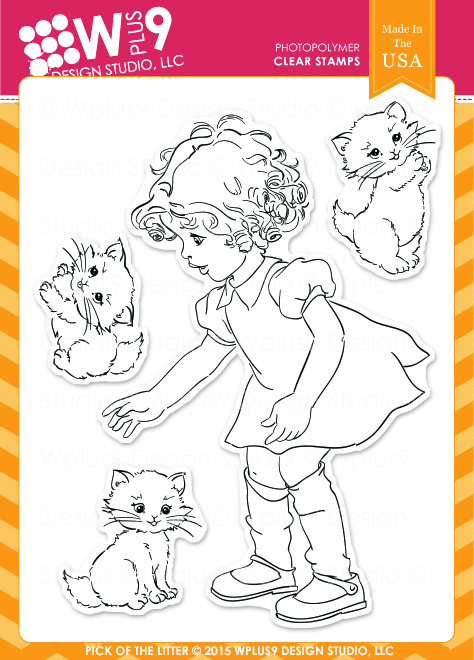 Before I go, I wanted to show you the newest stamp set in the "Nicole" series. 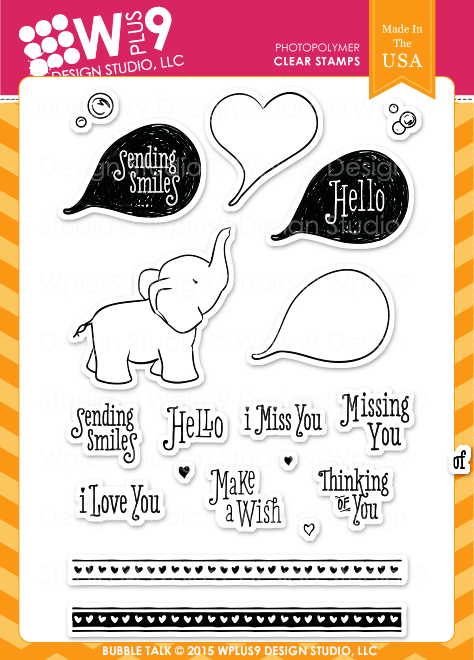 So many of you enjoyed the Miss You Lots stamp set, that I decided to do another one. To showcase her, I wanted to show you how you can take her beyond just cards. She is generously sized at approx. 4" tall so there is plenty of room to color and really pack in some detail. 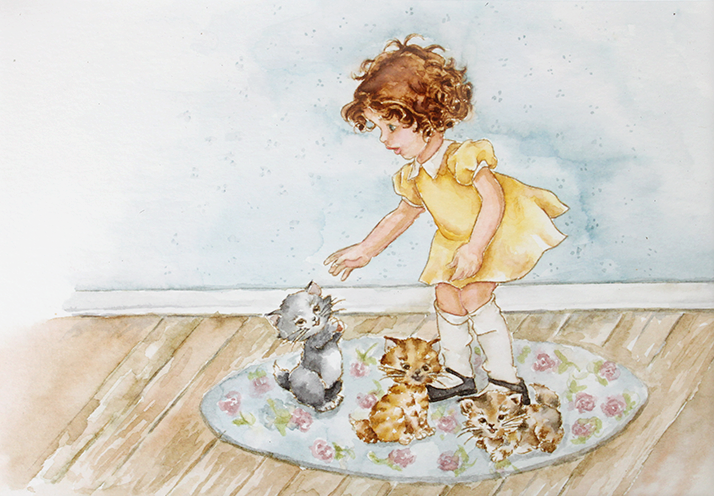 And when you add her kitties and a little scene around them, it makes a great piece of art to hang. 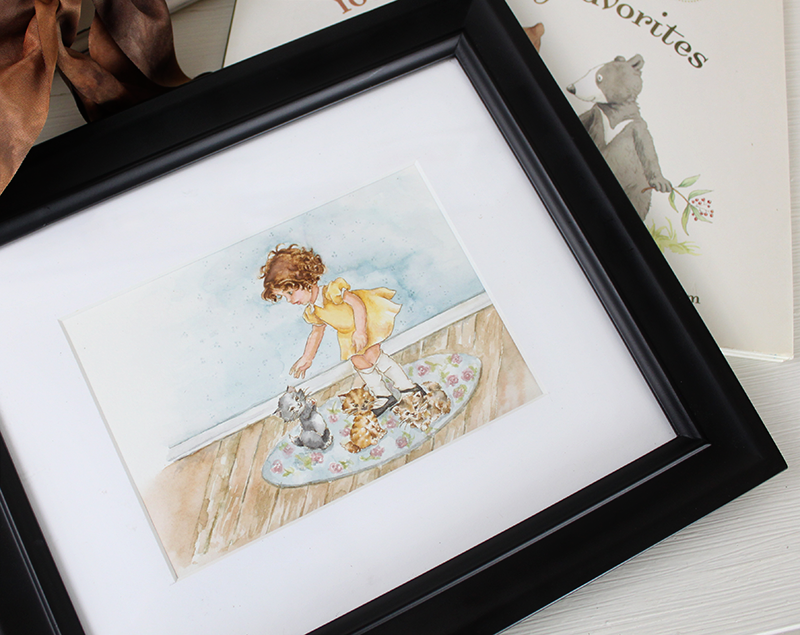 I chose to watercolor her using Distress Inks and frame the finished piece using a 5x7" mat. 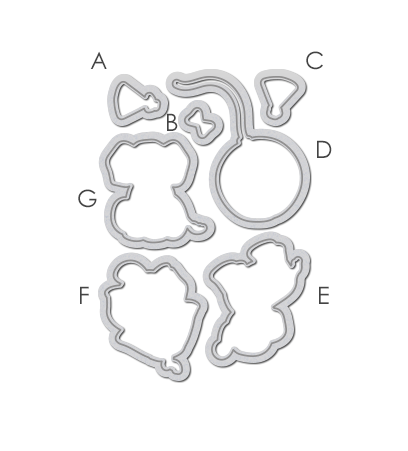 Are you ready to see more from the Design Team? Be sure to check them out because they are rocking this release with tons of inspiration and great ideas for these products! 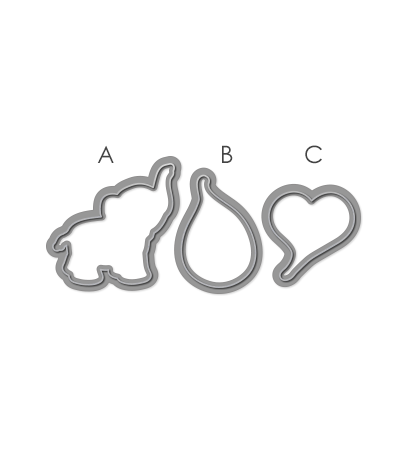 Would you like to win the Botanical Bunch and Pick of the Litter before you can buy them? 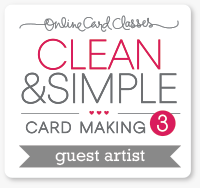 Just leave a comment below by 10:00 a.m. EST on 02/04/15 to enter and I will select one random winner from all comments. Winner will be posted on our Releaser Winners page by noon on 02/04/15. Don't forget, I'll be back tomorrow with a recap of the February 2015 Release along with a chance to win the entire release including a set of the PURE COLOR Dye Ink Storybook Collection, so be sure to come back. Good luck and thanks for stopping by!